Shopbop is a retailer of women's designer clothing and accessories, headquartered in Madison, Wisconsin, United States. It is one of web giant Amazon's many subsidiaries that are operated separately from the main Amazon brand. Shopbop operates one flagship retail store on Gorham street called Bop, which was founded in 1999, however the majority of sales are now generated online at Shobop.com, which has been live since the year 2000. Amazon completed the acquisition in 2006, bringing CEO Bob Lamey and other key staff along with it. What makes the site particularly popular is its great prices and savings offers. These can be redeemed with special Shopbop coupons, a list of which we keep up to date here at Coupofy. 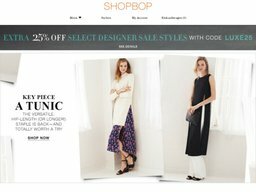 Shopbop.com organizes its products in to the following main categories: New Arrivals, Designers, Clothing, Footwear, Bags, and other Accessories. You can also use the search bar if you have an idea of what you want to buy. Popular designers include Gorjana, Lenora Dame, Splendid, Theory, Venessa Arizaga, Susan Monaco, St-Roche, Sashi, Rebecca Minkoff, J Brand, Vita Fede, Marc Jacobs, and many more. There are a wide variety of clothing types of offer, such as Yoga & Sportswear, Dresses, Skirts, Jackets & Coats, Bottoms, Jumpsuits & Rompers, Intimates, Maternity, Shorts, Sweaters, Swimwear, Vests & other Tops, Wedding, and a range of stylish denim. There are also shoes for all occasions and accessories such as Jewelry, Hosiery, Belts, Hats, Gloves, Tech Cases, and much more. Depending on the offers available at the time our Shopbop coupon codes might cover all products or specific products only. Payments to Shopbop.com can be made with all major credit cards, including Visa, MasterCard, American Express, Discover, JCB, and Diner's Club. They also have their own gift cards which can be redeemed for all or part of your order. 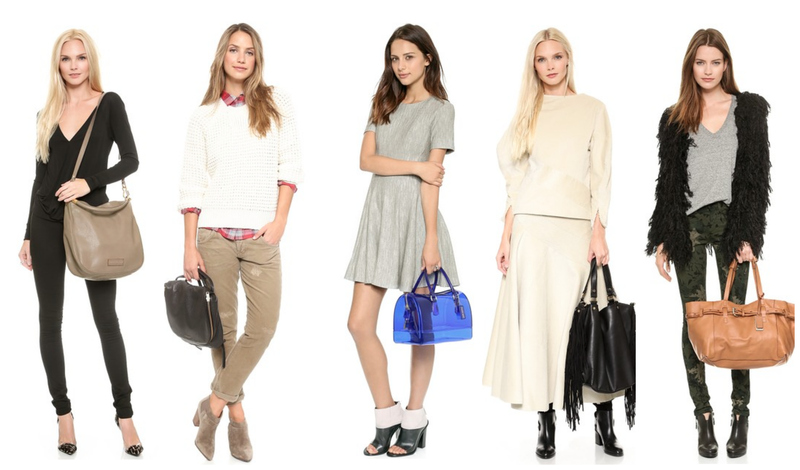 To redeem a Shopbop coupon code all you have to do is enter it in to the promo box ahead of online payment. Because Shobop is owned by Amazon they have an efficient worldwide shipping policy. Clicking the flag at the bottom of the page will allow you to choose your country and currency, which will update the site accordingly. In the US Ground shipping (3 business days) is free on all orders without needing a a Shopbop promo code, but you can pay extra for faster options such as Two Day for $10, Next Day for $25, and Saturday delivery for $30. Although it takes longer even international customers qualify for a free shipping option without needing to use any shopbop online coupons. All items may be returned within 30 days for a refund or exchange, so long as they have all of the original tags, and are in an unworn/unused condition. Unless items were delivered to you in a defective state, shipping charges are usually non-refundable. However if you are based in the US and return your items within 15 days with the prepaid shipping label, you will not be charged. @SusanThrasherC1 please email [email protected] for further assistance. We look forward to hearing from you!